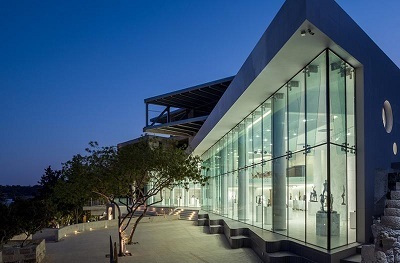 ﻿ World Trade Centers Holdings (Cyprus) Ltd, News, An exceptional Limassol building has won a Pan European prize in London! Home ⁄ News ⁄ An exceptional Limassol building has won a Pan European prize in London! An exceptional Limassol building has won a Pan European prize in London! The Sculpture Museum "Mikri Salamina" by Philippos Yiapanis emerged as the best Public Service Architecture building of 2017. The new building hosted in this space, Arts Nest, is a special construction designed by Savvides Architects, which has managed to stand out from the very beginning. The building, designed with clean modern lines, has the colour white prevailing in its interior. This coupled with the glass façade creates a continuation of the building with the beautiful park and its outdoor works surrounding it. Art Nest was at the top of all the Buildings of Public Service that participated at this year's European Property Awards. It is an institution with international recognition, and part of the global organization of the International Property Awards. Arts Nest consists of 5 floors. The two upper levels are the home of the artist himself and his son. In the basement, ground floor and mezzanine there is an exhibition area, lecture/presentation areas, a Cafeteria and a souvenir boutique. This is the second award for the project; in 2016 it was distinguished as a remarkable project in the International Build awards.